When it comes to stand mixers for the kitchen, you always have to go with a KitchenAid. They're built with such good quality that I've had my KitchenAid mixer for over 20 years now, and it still works like a champ from making cookie dough and cake mixes to bread and pizza dough. For bread dough in particular, you'll definitely need the KitchenAid KSM6573COB 6 qt Stand Mixer because it will not only mix your ingredients, but it will knead the dough (which will develop gluten) as well. If you didn't have a mixer to do the kneading for you, you'll probably be there kneading your dough by hand for a very long timme. With the KitchenAid mixer, it'll only take you a few minutes. Speaking of kneading, this KitchenAid Mixer comes with a spiral dough hook attachment which is used to knead bread dough. Other mixers (including my old one) can only use a regular (non-spiral) dough hook because the spiral dough hook exerts a downward force that only certain mixers can handle. If you're going to be making bread dough, you definitely want to be using a spiral dough hook. If you use a regular dough hook, your bread dough tends to ride up the attachment such that every now and then, you must stop it and scrape it back down to the bowl which can be tedious when mixing. The other 2 attachments (the flat beater and whip) are all you would need for your other baking needs. These three attachments are sufficient for whatever you plan to do with the mixer. 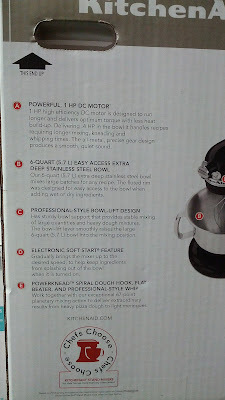 The KitchenAid Mixer also comes with a 6 quart bowl which is big enough for the doughs and batters you plan to mix. The 6 quart KitchenAid mixer is such a good deal if you get it from Costco (with rebate for more savings). You don't need to buy additional accessories since it comes with everything you need to bake anything. And rest assure that once you get this, you probably won't need to buy another mixer for at least 2 decades since this will last you a very long time. 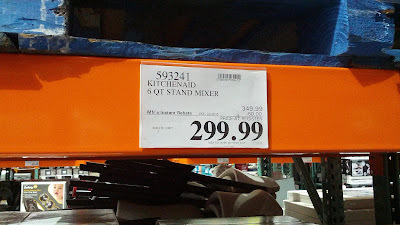 The colors I saw for the KSM6573COB at Costco were red, silver, and onyx black. The KitchenAid KSM6573COB will allow you to make breads, cakes, and other yummy goodies that we love to eat. Baking becomes easier and funner when you have the KitchenAid KSM6573COB Stand Mixer by your side. 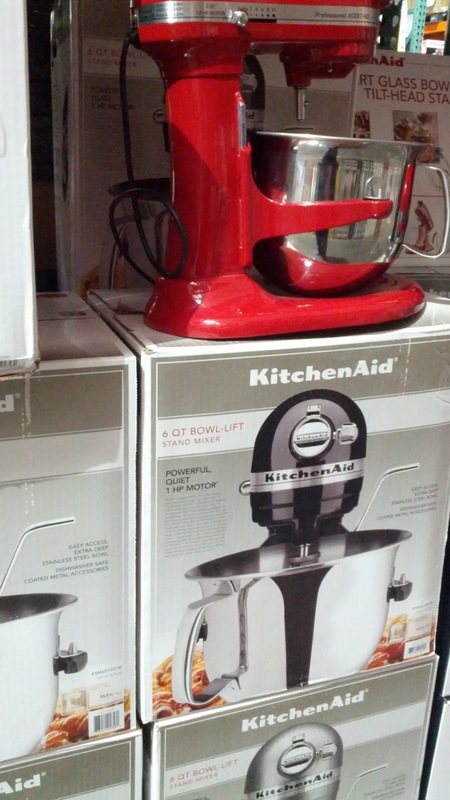 Start saving and start baking by getting the KitchenAid KSM6573COB with instant rebate from Costco. 1 HP high efficiency DC motor is designed to run longer and delivers optimum torque with less heat build-up. 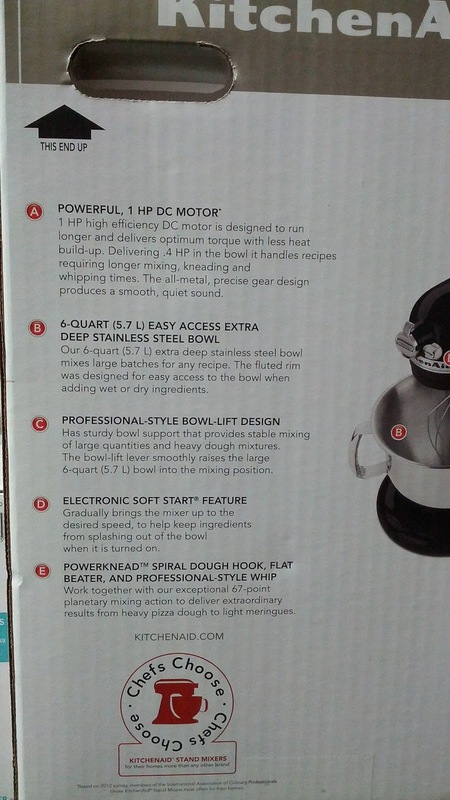 Delivering 4 HP in the bowl it handles recipes requiring longer mixing, kneading, and whipping times. The all-metal, precise gear design produces a smooth, quiet sound. Our 6 quart (5.7 L) extra deep stainless steel bowl mixes large batches for any recipe. The fluted rim was designed for easy access to the bowl when adding wet or dry ingredients. Has sturdy bowl support that provides stable mixing of large quantities and heavy dough mixtures. The bowl-lift lever smoothly raises the large 6-quart bowl into mixing position. Gradually brings the mixer up to the desired speed, to help ingredients from splashing out of the bowl when it is turned on. Work together with out exceptional 67-point planetary mixing action to deliver extraordinary results from heavy pizza dough to light meringues.